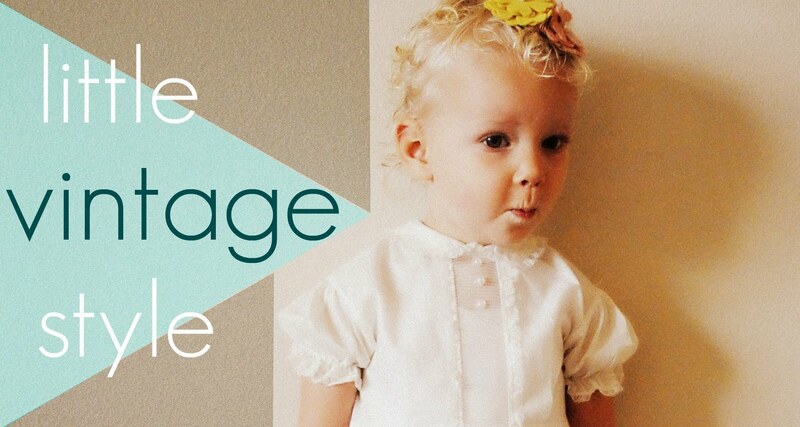 Welcome to Little Vintage Style, a place to show off your little ones wearing vintage - whether it be clothing you thrifted, bought, used to wear yourself, made using a vintage pattern or vintage fabric, we want to see! Link up every Wednesday, and make sure to click around and say hello to all of the other vintage lovin' mommas like you! 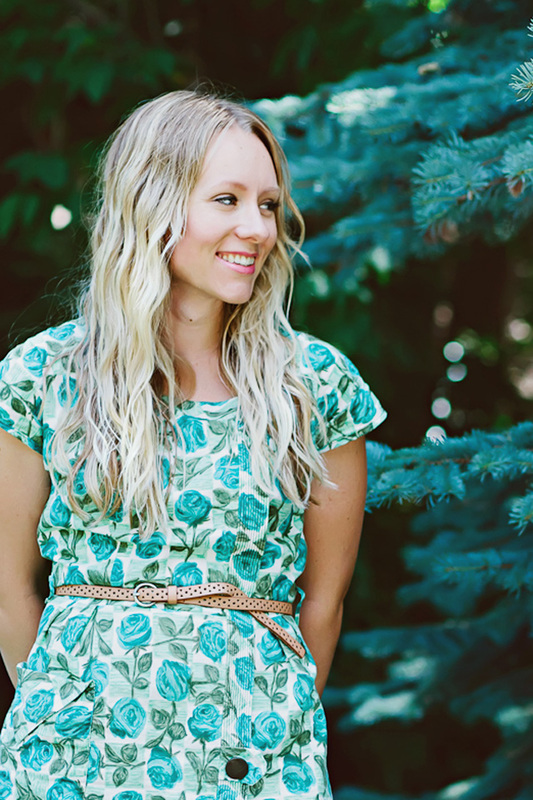 hello hart + sew readers! 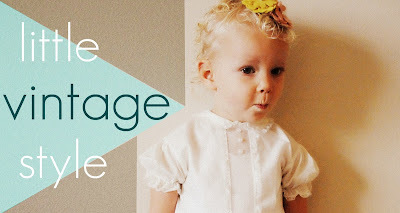 i am so excited to share a bit my little one's vintage style with you today. i try to work vintage pieces into Harper's wardrobe any day i can. searching for old pieces with character is one of my favorite things to do, and Harper loves wearing it (she loves getting dressed period!). 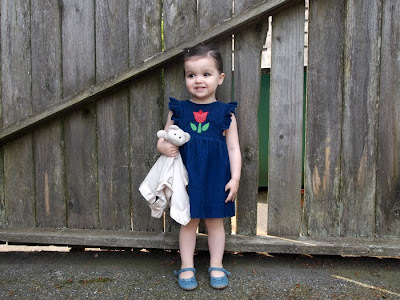 whether it's finding the perfect treasure at my favorite second hand store, or snatching up a cute find from my favorite online shop, vintage is a huge part of Harper's little life. 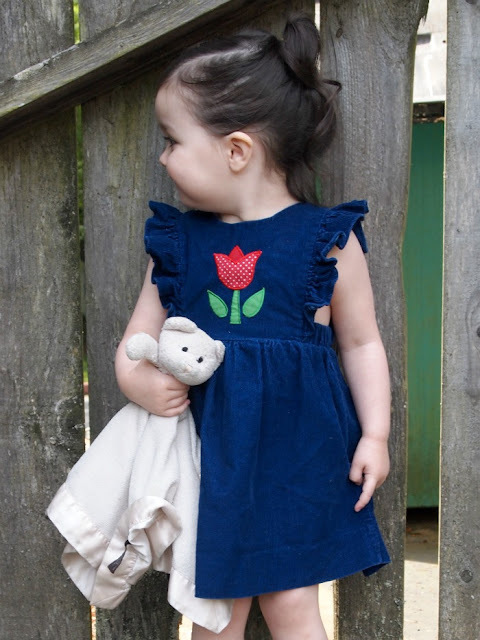 :) This dress is a favorite - i love the tulip, the ruffled sleeves, and since it's corduroy, it will pair perfectly this fall with a long tee under it and some tights! Thanks for sharing Mandy, Harper looks as sweet as can be in vintage! I'm thrilled with the response I got last week about guest posting for LVS, and I'll be getting in touch with all of you soon! I am thinking I'll feature a guest poster every other week, so if you have a little one you would like to submit send me an email at stacecadet21(at)gmail(dot)com. And, don't forget to link up below! harper is the absolute cutest!!! i will email you about a guest post for boys' vintage! I don't have a blog (I know, I know, I am so behind the times), but I would LOVE to show off some of our vintage clothes! Is there any other way that I could "post" my pictures? i love harper! she's just so adorable! 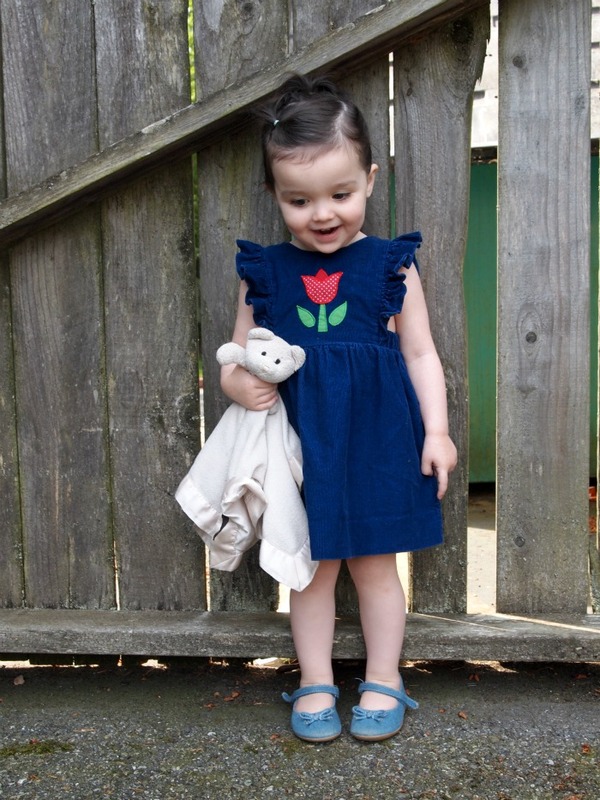 Oh my, adorable dress and adorable model!! sorry again Whitney! And thanks so much Stacy for having Harper :) Can't wait to see all the future cuties. xo! 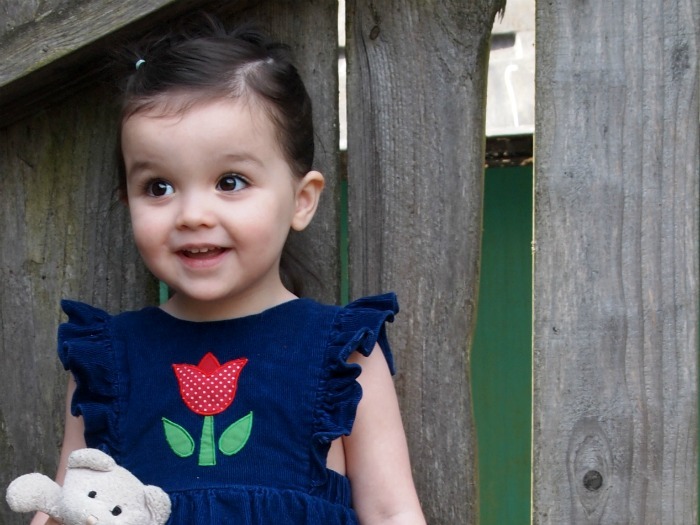 i can't decide if harper is cuter or the dress...hmmmm....yep, harper takes the cake! she is the cutest! the dress is a close second though! I love LVS guest posts - what fun! Harper is just the sweetest ever. That style of dress with the ruffle shoulders is one of my favourites and the tulip makes it even more special. we adore many and harper!!!! i want that dress in my size!